The Design Council, Design for Homes and the Home Builders Federation, supported by Nottingham Trent University. Building for Life 12 is a government-endorsed industry standard for well-designed homes and neighbourhoods. Local communities, local authorities and developers are encouraged by government to use it to guide discussions about creating good places to live. 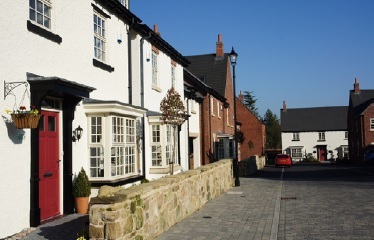 It was redesigned in 2012 to reflect the National Planning Policy Framework’s commitment not only to build more homes, but better homes, such as can be achieved when local communities participate in the place-making process and help identify how development can be shaped to accommodate both new and existing communities. The questions are therefore designed to help structure discussions between local communities, local planning authorities, developers and other stakeholders. BfL12 is also designed to help local planning authorities assess the quality of proposed and completed developments; it can be used for site-specific briefs and can also help to structure design codes and local design policies. To obtain a copy please follow this link to the Home Builders Federation website. Links to 2014 updated version. ‹ What’s your place really like?